By now, we all should know that Supreme Court nominee Brett Kavanaugh liked to drink beer back in high school and college. 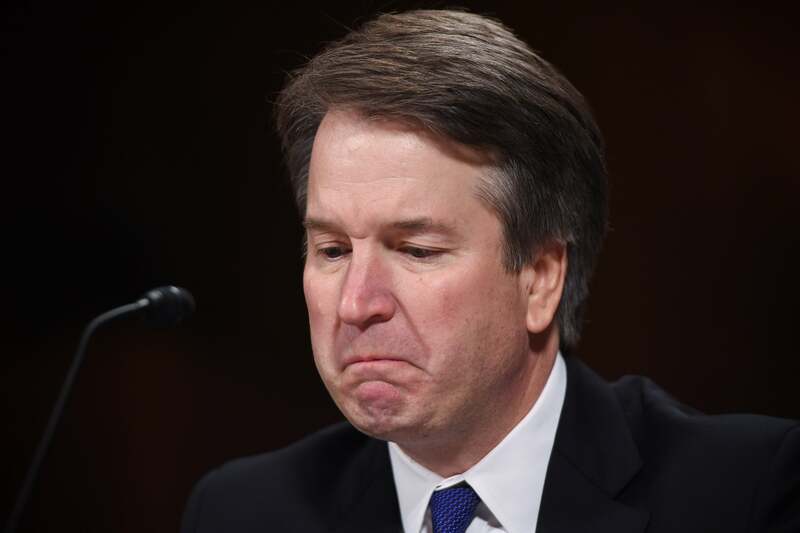 He referenced drinking beer and liking beer about 50 times during Thursday afternoon’s hearing into the allegations that he sexually assaulted Christine Blasey Ford in the 1980s when they were both in high school. Nonetheless, Kavanaugh, despite acknowledging his love of beer, denied ever being blackout drunk or not remembering his actions as he consumed alcohol. But a former Yale classmate of Kavanugh’s is now stepping forward, accusing the judge of “blatant mischaracterization” of his alcohol use as a student, the Boston Globe reports. Chad Ludington recalled that that he often saw Kavanaugh “staggering from alcohol consumption,” during his years in college. Ludington told the Globe that he intended to tell the FBI what he knew at its office in Raleigh, N.C., on Monday. In his a statement, Ludington, a former basketball player at Yale, said that he could “unequivocally” say Kavanaugh had “not told the truth,” in Thursday’s hearings. The contradictory statements have come out as the FBI swiftly moves to finish a limited investigation into the allegations of sexual misconduct against Kavanaugh, which could be finished by Morning morning. However, Democrats have criticized the scope of the inquiry, saying that it is not enough to properly vet Kavanaugh. Hawaii Democrat Sen. Mazie K. Hirono said on ABC’s This Week that any investigation that dictates who the FBI can interview in relation to the case would be a “farce,” while Sen. Amy Klobuchar (D-Minn.) accused the White House of micromanaging. “You can’t interview this person, you can’t look at this time period. . . . “I mean, come on,” she said on CNN’s State of the Union. Meanwhile, President Donald Trump is insisting that the White House is taking a hands-off approach.